This beer has come a long way. 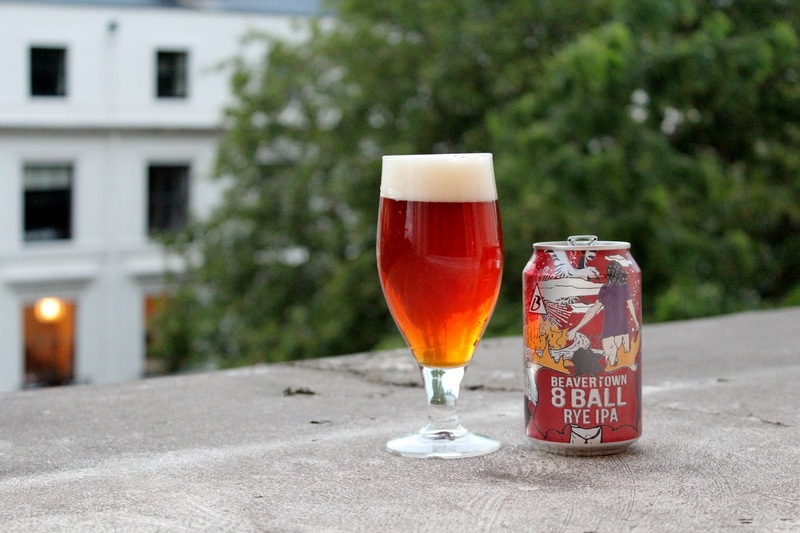 The first time I tried 8 Ball, Beavertown's rye IPA, it was on cask back in July 2012, and while I liked it then, it wasn't particularly hoppy, and the rye character was relatively muted. My notes from the time suggest that the skeleton of the beer was in place, but the fat and muscle hadn't really fully developed. It's great to see - and taste - that 8 Ball has come into its own. The beer in front of me now is a marvel from beginning to end. It pours an attractive copper-gold with a creamy, mostly white head. The aroma exposes rye grains almost immediately, and then also some rindy orange and juicy pine. The flavor follows well, with lots of plump, ripening citrus fruits, bready caramel, some spicy rye, a bit of grassy bitterness, oily pine. It's medium bodied and the carbonation is spot on. In the finish, you get a great resinous, oily hop character, with further juicy orange and tangerine, balanced out with toasted rye bread. It's got that resinous hop character that kind of tires out your mouth but also leaves you craving more. Wonderful. I'm not always a huge fan of rye IPAs, given that sometimes the disparate elements can be a bit incongruous. But here, the rye, citrus and pine comes together to make a beautiful beer.